In 2010, SPAWNERS began work at this lovely site on Wilkie Creek, which is a tributary of San Pablo Creek. 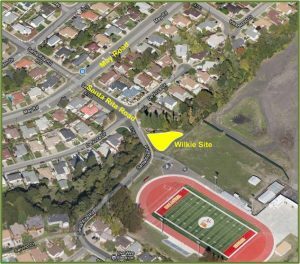 The site is on De Anza High School property, but it lies just outside of the fence line so it was untended and overgrown with non-native grasses. We cleared many weeds and sheet mulched the area to maintain the soil moisture, manage soil structure and keep the weeds at bay. With the help of some local Eagle Scouts, we installed a log-lined pathway to a peaceful sitting area. We added several elegant benches where you can rest and enjoy the beauty of the creek and the surroundings. 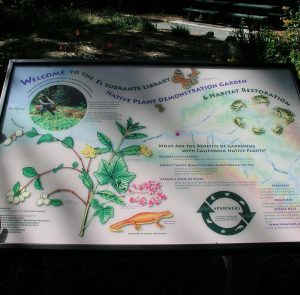 Also, check out the new interpretive sign we installed at the site to learn more about the history and native flora and fauna of this special place! This is an ongoing project that was built and is maintained by volunteers. 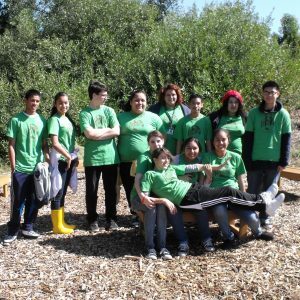 We regularly work with local high school students to install native plants and remove invasive weeds at the site. 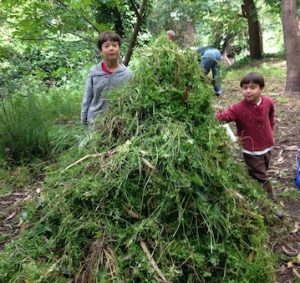 SPAWNERS was founded in 2000, when over 90 volunteers came together to clean up the creek behind the El Sobrante Library. 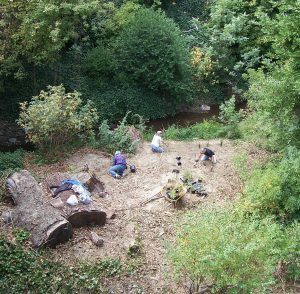 We are still working at this site to restore the lower creek bank and upper terrace. 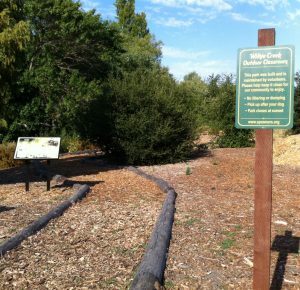 We have removed invasives like the English ivy that dominated the site, replaced it with California native plants, and created a native plant demonstration garden complete with four interpretive signs. In 2010 we worked with a community artist and students from Richmond High School to paint a public mural with an environmental message on the Friends of the Library building. We still host workdays at this location to maintain our restoration areas.